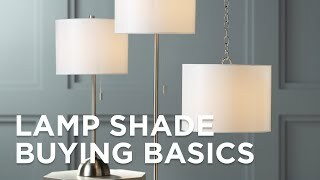 Elevate your lighting with the convenience of this clip-on lamp shade that features an Imperial taupe fabric blended with durable polyester and nylon. This imperial taupe fabric shade has a warm, neutral tone that will breathe new life into a lamp or other lighting fixture. It features a top and bottom self-trim. Recommended for use with maximum 25 watt incandescent candelabra bulbs, or LED candelabra bulbs. Clip shade from the Imperial Shade Collection. Clip-on style polished brass fitter. 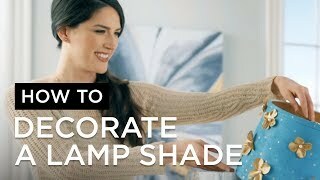 I have a lamp with very similar shades on it. Unfortunately, a heavy mirror fell on the lamp and crushed the original shades. The ones I bought were the closest I could find to the original. And, I didn't have to buy 15 of them! The shades I am replacing did not work with the spiral shape lights that I enjoy using. The clip on shade is a good replacement. I didn't like white shades on dining room chandelier. Is the height a full 5"? Many shades this size claim 5" height but in reality the shade is between 4.5" and 4.75"
BEST ANSWER: Yes, the full height is 5" (up/down). My lamp shades fit under the bulb, can you help me?please help me find correct replacement shade? BEST ANSWER: Hi! We do not carry any UNO fitted chandelier shades. However, this is a clip on shade and should be able to work with your fixture since it directly clips on to the bulb. We were very pleased with the timely arrival of our shades.